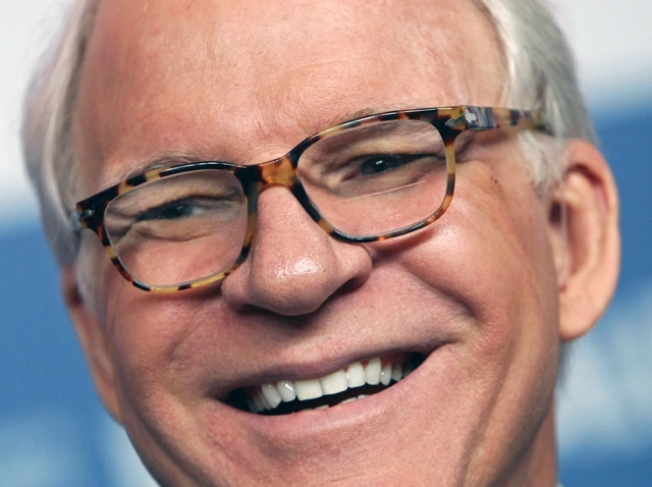 SCRIBE: Steve Martin steps off the screen and sets down his banjo to pursue his third calling tonight: The multitalented artist reads from his latest novel, An Object of Beauty—there are distinct echoes of his novella Shopgirl in its working-woman-in-New York protagonist. Barnes & Noble Union Square. 7PM. HOEDOWN: Prepare to grab yer partner and do-si-do as the first ever Brooklyn Barn Dance comes to DUMBO’s Galapagos--which, as venues goes, isn’t terribly barn-y, with its sleek modernist interior, but we digress. The point is, you’ll get to feel a thousand miles away from the concrete jungle as you shake a leg to bluegrass bands playing “playing faster than corn through a goose.” 8PM. ICON: In the early 1980s, the by-then famously reclusive Marlene Dietrich finally agreed to participate in a documentary director Maximilian Schell wanted to make about her life—on one condition: She wouldn’t appear on-camera, out of fear she’d look old. The voice-over commentary she did provide to the film clips and other materials that tell her life story makes that story all the more compelling, in that her reluctance is possibly the most candid insight into her mind. IFC Center, 8PM.